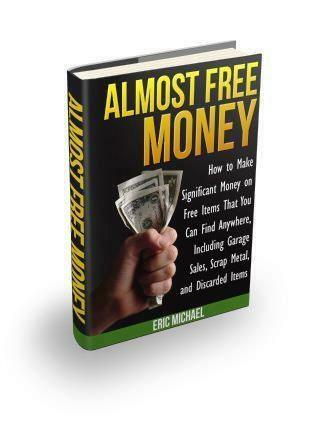 The latest Almost Free Money book is now available on Amazon in both Kindle and Paperback editions. The book offers proven methods that allow entrepreneurs how to sell stuff on Amazon at amazingly high profit margins. 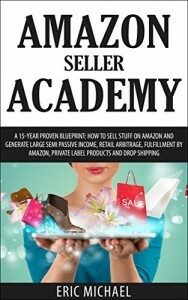 Amazon Seller Academy: A 15-Year Proven Blueprint: How to Sell Stuff on Amazon and Generate Large Semi Passive Income, Retail Arbitrage, Fulfillment by Amazon and Drop Shipping offers many tips for improving Amazon sales, profit margins and taking the big step to selling online full time. Would you like to be your own boss and earn an outstanding paycheck by selling stuff on Amazon from home? You can leverage Amazon’s award winning reputation and customer service to build a legitimate work from home job that pays you very well. And, after you have built up your inventory, you will make money while you sleep. Better yet, you can learn how to utilize Fulfillment by Amazon to do all the shipping and packaging for you. Customers buy your goods via the Amazon marketplace and Amazon FBA packs and ships for you – you simply collect your cash! Amazon Seller Academy provides a proven system for launching an Amazon business and managing your business after you start collecting money. Eric Michael has been reselling used items (thrift arbitrage) and flipping new items from stores (retail arbitrage) successfully for over 15 years. Introduction to Amazon FBA – Should you graduate to the “big time”? Selling on Amazon has never been more profitable, therefore it is much easier and more profitable than selling on eBay, so the transition to Amazon can be seamless. Learn how to be an Amazon reseller from a seasoned veteran. Whether you are looking for a new passive income via Amazon FBA, want a new supplementary income, or a full time work from home business, this is your introduction to the Amazon gold mine! Amazon Seller Academy is available for under $5 for the Kindle version and under $10 for paperback, so the book makes a great stocking stuffer in 6 x 9″ size!